The President’s Public Art Committee is charged with evaluating and providing a recommendation on proposals for the placement of art—permanent or temporary—in public areas of the university, including outdoor public areas and interior public spaces (prominent public areas, lobbies, atria, entrances, and principal assembly areas. The Public Art Committee serves in an advisory capacity to the UW President. Donors, campus departments or groups, faculty, staff, students, and friends of the University interested in installing a new piece of artwork on campus should contact Chris Boswell, Vice President for Governmental and Community Affairs, for further guidance on the planning and construction process. 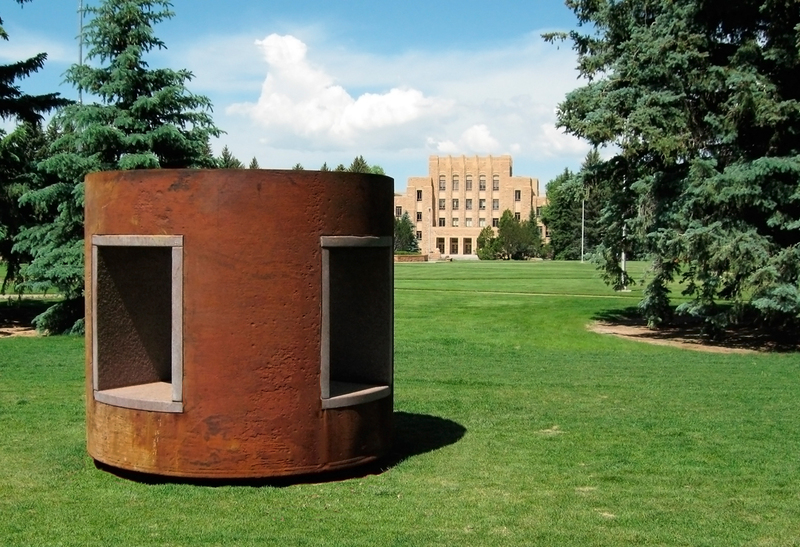 More information on the process can be found in placing public art on campus. The President’s Public Art Committee seeks to enrich the cultural, intellectual, and scholarly life of the University of Wyoming’s students, faculty, staff, and visitors while advancing the university’s academic mission through enhancing and complimenting the physical and aesthetic environment of campus, preserving and celebrating its history and heritage, and inspiring contemplation, reflection, and dialogue. The President’s Public Art Committee strives to advance the aesthetic and physical environment of UW by creating an integrated mixed use of public spaces that reflects the University’s teaching, research, and service mission and acknowledges its heritage. Art can become the physical expression of UW and that art can further inquiry and widen knowledge. Finding a balance from traditional to contemporary is essential in creating public spaces that challenge and broaden the experience of our students, faculty, staff, donors, and visitors on campus. Information on the University of Wyoming Art Museum can be found here. Information on the University of Wyoming Art Department can be found here.